The screenings take place at the in front of the Old Railway Station in the Rail Precent, 1 Railway Tce, Mount Gambier. Entry is via the northern and Southern end of the platform. Closest parking is off Railway Tce. What time are the gates open? The gates will open from approximately 1 hr before showtime so you’ll have time to get settled, sample any onsite vendors, socialise, take a couple of selfies, chill a bit more and then get comfy with your favourite beverage/person/soft toy (not necessarily in that order) before the movie starts just after sunset (8.45pm-8.10pm). At selected sessions, there may be some pre-show entertainment to enhance the vibe. Sessions at the Apple Farm may be open earlier for serious gastronomic goodies and socialising. Can we buy tickets at the Gate? Yes, if there are any left. If you’re going to get upset about missing out, then get online or find a 14 year old to do it for you. They are also slightly dearer. What is a VIP Club Lounger? It's the best spot in town, a premium Bean Bag in a prime viewing position. They're a sort after favourite and available for all sessions. Note - Bean Bags are limited to One person per bag only. We have films specifically tailored to be a family friendly. Kids aged 3 and under can join you for free (maximum 2 children per adult). All children 4 and over must have a valid ticket and under 18s must be accompanied by a guardian or parent for any licensed events. Please consider the ratings and enjoyment of others when debating to bring children to films outside our Family nights. You will find most ratings for the movies on our website. Please refer to the Australian Classification web site www.classification.gov.au for information regarding the ratings of the movies. Can we purchase food and drinks at the event? We have a selection of cinema classics from the Coke van, coffee as well as other Vendors joining us when possible. Can we bring our own food and drink to the event? Food, yes (but you have to share if it’s yummy). Please no glass or sharp knives on site. Strictly NO BYO for licenced events including the Apple Farm. Our vendors have made an effort and investment to bring you unique offerings and we ask you respect their licenses. It’ll be enough to make your night memorable. For non-licensed events at the Rail Lands responsible BYO is accepted. Is this an accessible event? Yes, Starline is an accessible venue and we welcome Companion Card holders. Please email us on info@oatmill.com.au if you need assistance or give us a call. Can I smoke at the site? No, Starline is a smoke free venue. If you need to have a smoke you can head outside the venue and come back in when you're ready, it’s not far. Please read our Terms and Conditions. 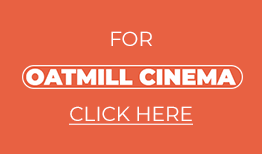 The answer is no, but we will give you a voucher/complimentary pass valid for 12 months to use at the Oatmill Cinema or Landmark Pictures, Naracoorte. You must provide your ticket intact to the Oatmill Cinema to redeem this. Have we really not thought of everything? Send us an email to info@oatmill.com.au and we’ll see if we can cover it or bugs us on Facebook like everyone else.